Lew Hayman arrived in Canada in 1932 and within a few months assumed the position of coach of the Argonauts. Hayman coached his first Grey Cup winning team in 1933, when he was only 25 years old. He stressed a “hot potato” style of offence which was entertaining to watch and difficult to defend against. Hayman led the Argos to Grey Cup victories again in 1937 and 1938. Hayman coached the RCAF Hurricanes to a Grey Cup victory in 1942 and, following the war, helped to reorganize the struggling Montreal franchise. He held many positions in Montreal including coach and general manager. He led the team to a national championship in 1949. 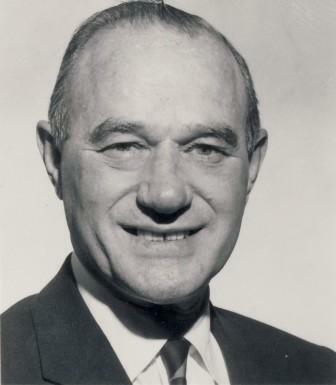 Lew Hayman was president of the Canadian Football League in 1969, and for more than 25 years was an executive in the Argonaut organization.